A landmark experiment in north Queensland could hold the key to combating the spread of mosquito-borne diseases including dengue and Zika. 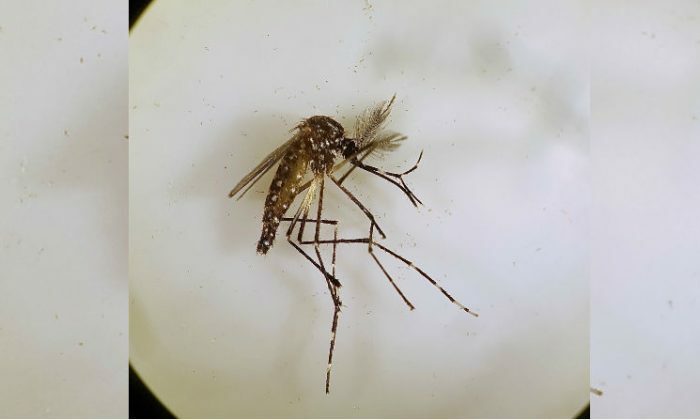 Australian scientists managed to wipe out more than 80 per cent of the Aedes aegypti (yellow fever mosquito) population near Innisfail, a sugar town in tropical far north Queensland, the Commonwealth Scientific and Industrial Research Organisation (CSIRO) announced on July 10. The Aedes aegypti mosquito is responsible for infecting millions of people worldwide with diseases such as dengue, Zika, yellow fever, and chikungunya. Last summer, CSIRO researchers introduced three million sterile male Aedes aegypti in three small towns in the Innisfail region. The local female mosquitos they mated with laid sterile eggs, causing the population to plummet. The team, working in partnership with Alphabet Inc’s research organisation Verily, used technology from the company to breed millions of mosquitos carrying a natural bacteria Wolbachia that caused them to become sterile. “It’s an exotic mosquito, we want to get rid of it. It’s not an important part of the environment and it’s a major spreader of diseases around the world,” Dr Paul De Barro, research director at the CSIRO, told AAP. Researchers also thanked the local community who allowed the team to install traps around homes and businesses. “We are particularly thankful to the people of Innisfail for their strong support, which has been incredible,” said Verily’s Nigel Snoad in a statement. De Barro said the results were a positive step towards eradicating disease-carrying mosquitos from urban areas, according to the ABC. “I certainly think with technology like this, and as it evolves over time, we will be in a situation where we could view a future Australia that didn’t have this mosquito,” he said. “What we’ve demonstrated is the technology does work to at least suppressing (the mosquito populations).